Welcome to the ONPHA store. 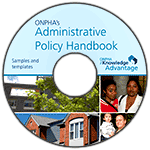 We offer comprehensive guides, handbooks, survey reports, templates, and resource kits designed to help your organization excel in areas like housing administration, maintenance, governance and much more. Browse and purchase products below, or download our order form below to place your order by fax or email. You must be logged into the website with your existing member or partner login credentials to receive the exclusive member or partner price. This report breaks down wages, salary and benefits information for over 2,000 employees across all levels, from executives and property managers to maintenance and support staff. 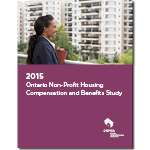 This essential tool will help you to understand the big picture make-up of Ontario's non-profit housing sector, plus the detailed information you need to attract and retain effective, knowledgeable staff by setting competitive wages, salaries and benefits. This report provides comprehensive information on the governance of non-profit housing providers across Ontario, from board composition and scope, to decision-making, recruitment, succession planning and more.This essential tool provides original data and identifies key trends that will help you benchmark your practices against comparable organizations within a rapidly changing sector. 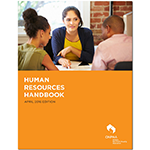 This comprehensive handbook is filled with advice and best practices, and includes policies on human rights, accommodation, eviction prevention and emergency planning. Use the policy guidance, templates and sample forms provided to shape your building management and tenant policies. This product will be distributed by mail on a USB upon purchase. 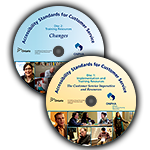 This implementation and training kit will help you understand and meet your obligations under the AODA Customer Service Standard. Use the checklists, sample policies, workbook and video to train managers and the board on implementation requirements. Bring your staff up-to-speed on the requirements with the training workbook and video. This product is available on CD (PDFs and editable templates) and DVD (videos) and will be distributed by mail upon purchase. Do you have asbestos but no Asbestos Management Plan? 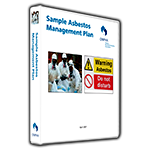 ONPHA's sample Asbestos Management Plan can help you update or develop your plan to comply with changes to the 2005 legislation regarding asbestos. This product is available on USB as a Microsoft Word document (with editable templates) and will be distributed by mail upon purchase. If your organization is funded under the Housing Services Act, you must have a board succession plan. Using this comprehensive, step-by-step tool, learn how to implement a succession plan to meet your responsibilities now and into the future. Everything you need, including easy-to-follow instructions, customizable templates and a handy checklist are all included here on one product. 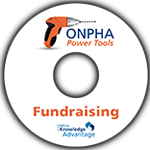 Regardless of how big or small the fundraising target, ONPHA's "Creating a Successful Fundraising Campaign" Power Tool puts you on track and keeps you moving towards your fundraising goal. 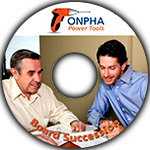 This Power Tool includes easy-to-follow instructions, sample templates and procedures, and a checklist to identify gaps and track success. 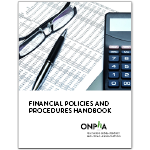 This comprehensive handbook is designed to help housing providers and their staff understand the fundamentals of financial oversight, policies and processes, and is sure to become your organization’s go-to resource to build financial literacy and understanding across your organization. When you purchase the handbook, you’ll also receive more than 20 customizable templates to support your work. 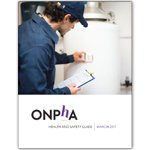 This guide is an easy-to-use, practical resource designed to help you create an effective health and safety plan, improve your organization's practices and help to ensure your organization meets its legal obligations under the Occupational Health and Safety Act. This comprehensive handbook is designed to help your organization plan and implement building maintenance to support longer building life, minimize costs and resources, and provide tenants and communities with well-maintained, high-quality homes. Put the more than 30 customizable templates into practice immediately to support your work. This product is available on USB (includes PDF handbook plus editable templates) and will be distributed by mail upon purchase. Pests are an age-old problem for even the best-managed non-profit, but the science of pest management is changing. 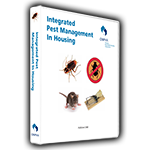 Use ONPHA's Pest Management Handbook to learn the latest strategies to tackle the perennial problem of pests. This product is available on USB (as a PDF) and will be distributed by mail upon purchase. As of 2015, head leases between for-profit landlords and non-profit housing providers are considered commercial and are not subject to the standard rights and protections of the Residential Tenancies Act. Use this Sample Commercial Lease and adaptable tools to help you build in the necessary residential protections and access dispute resolution avenues not typically outlined in commercial leases. This sample occupancy agreement is designed for transitional housing providers who are exempt from the Residential Tenancies Act, 2006. Customize it to reflect the terms you want occupants to agree to when living in your housing and receiving your support services. Includes: Instructions, sample occupancy agreement, and appendixes on rules, services, fees, unit rules and disputes. Easy to read and understand, this sample lease is customizable for both market and rent-geared-to-income tenants and all housing programs. Use it to create a comprehensive lease that includes clauses on pets, hoarding and pest control and a take-away for tenants on "Reporting Your Income." This lease is for Federal, Provincial (Housing Services Act), and Affordable Housing Program providers. Create a professionally-designed tenant handbook using a resource that can be fully customized to reflect your organization. Provide tenants with crucial information on how to pay rent, RGI calculations, contact information for your organization and local services, an outline of the lease agreement, organizational policies and much more. Follow the instructions to easily edit and format the handbook to suit your needs. 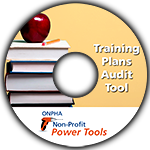 If your organization is funded under the Housing Services Act, you must have a training plan for staff and volunteers. Use this tool to identify the skills and knowledge your organization needs, integrate professional development into your operations, and prioritize your training needs. Everything you need, including easy-to-follow instructions, customizable templates and a handy checklist are all included here in one product.